One Friday in December, Peter Ellerkamp, the coach of Denali’s men’s soccer team, found himself standing in a classroom instead of on the soccer field. “We had to cancel a practice because we didn’t have enough eligible players for our game that was coming up,” Coach Ellerkamp said. Although Coach Ellerkamp is competitive when it comes to soccer, he still believes that school comes first. “It’s not athlete student; it’s student athlete. Student comes first,” he said. Instead of practicing soccer outside, the team sat in Room 10 and worked to get ahead or catch up on any projects or playlists that they were behind on. It was “a very hype and fun environment,” men’s soccer team co-captain and Denali sophomore Nico Suppiah said. Summit Denali High School has teams for running, basketball, soccer, swimming, wrestling and volleyball. The school plans to add a baseball team later in the year. During the winter season, the men and women’s soccer teams compete against other charter schools in the area. The men’s soccer team practices four times a week, while the women’s soccer team practices three times a week. This teamwork has begun to show; the women’s soccer team has won two of their games. “It’s pretty cool to see all of us work really hard and just seeing all of the work we put in and seeing it result,” Denali junior Serena Munoz, team captain of the women’s soccer team, said. The coaches see soccer as a way to build important life skills. “You get to see a lot of students have different strengths that they don’t get to show in the classroom that they can show on the field,” Coach Ellerkamp said. Coach Justin Sewell of the women’s soccer team, agrees. He believes that coaching allows him to build skills “you don’t get to build as much in the classroom” with his student athletes, especially leadership and teamwork. As team captain of the women’s soccer team, Munoz knows she has to hold herself to a high standard. “It’s kind of being that role model and saying, if I can do it then you can do it,” she said. Misael Aguilar, Denali junior and co-captain of the men’s soccer team, views himself responsible for the team. “I feel like everything’s put on you–it’s your team,” he said. Suppiah sees academic success as one of the main challenges that the men’s team faces. “Making sure everyone is on track with their academics because if they’re not, they can’t play,” he said when asked about these challenges. “We have academic eligibility, or lack of,” Coach Ellerkamp said. Academic eligibility is a policy that Summit Denali follows where students must be on-track in their classes before they can play their sport. One of Coach Ellerkamp’s largest challenges is that some of his best players also struggle in one or more of their courses and have to stay after school to focus on academics. This system of academic eligibility has forced students to develop study skills. Soccer has helped Munoz build her organizational skills by planning out her week. 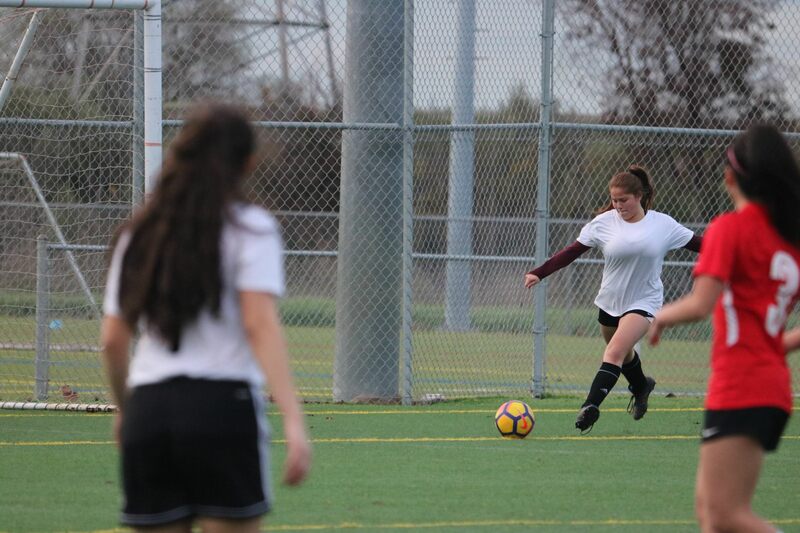 She says that “having that energy, or setting up specific days where I can say, ‘Oh, I need to work on this on this day to stay on track’” has helped her throughout the year, not just in the soccer season. 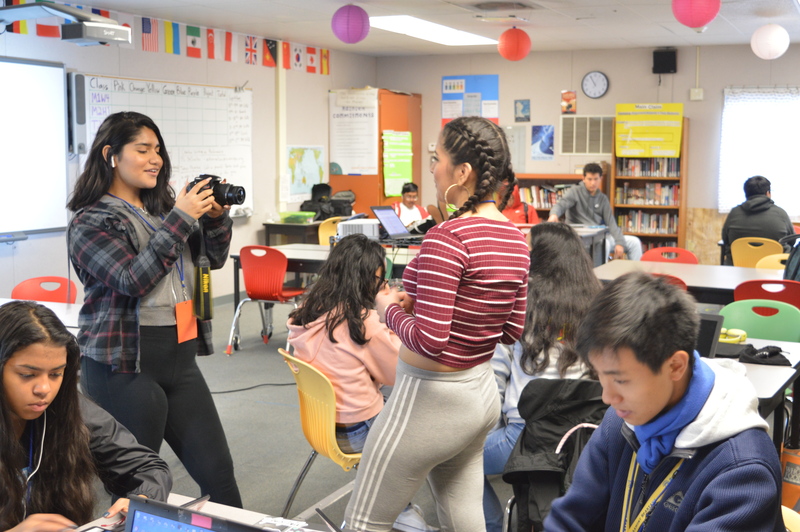 “To be honest, I feel like everybody has a different opinion about education,” Aguilar says. “There’s going to be some students who want good grades.” For Aguilar, focusing on one thing helps him get his work done. Listening to music acts as a catalyst to help him do this. McFarland has found herself adapting to the time restraints from sports through organization and planning. She also holds herself more accountable in class. “If I want to goof off in class, I have to remember, ‘Hey, I have this due and I have soccer practice so I have to get this done,’” she said. Denali’s coaches are always looking to support their athletes. Coach Sewell said that academics should be student athletes’ top priority. “Academics have always been really important to me. I think success in the classroom is an indicator for success on the field,” he said. Coach Sewell makes an effort to come in before school and help athletes in their academics when he can. Coach Ellerkamp sees correlations between his athletes’ academic success and their success on the field. “The students who are on-track are the most focused in practice, and therefore perform the best in practice and in games,” he said. Nonetheless, soccer still plays a large role in these students’ lives. “I wouldn’t say soccer is that stressful; it’s more of a stress-reliever,” Munoz said. She sees her participation on the soccer team as a way to take her mind off of the writing and reading that she does during the school day. Summit Denali High School’s women’s soccer team has eight more games this year, while the men’s soccer team has six more games. The soccer season ends at the beginning of February.